The M9 is one of the most popular pistols in modern military use and with the KWA M9 PTP GBB Airsoft Pistol you can hit the field with a pistol that looks and feels the part without sacrificing performance! The KWA M9 PTP GBB Airsoft Pistol is easy to operate boasting a fully functional slide release, ambidextrous safety, disassembly lever and magazine release. With an all metal slide and 25 round magazine the KWA M9 PTP GBB Airsoft Pistol is perfect for any operator looking to help opponents find their way to the dead box! 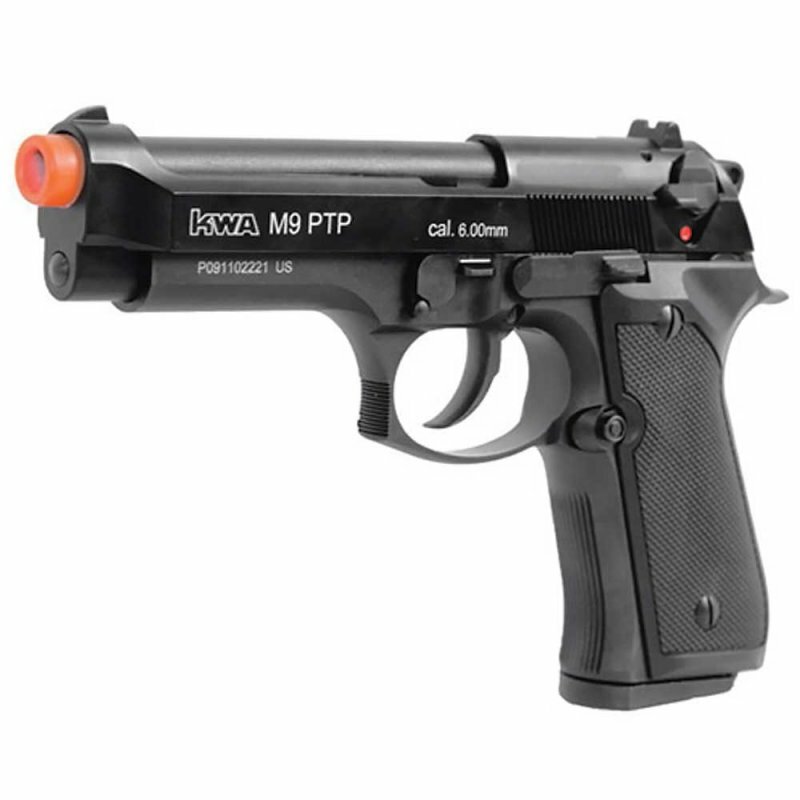 Note: The KWA M9 PTP GBB Airsoft Pistol has an orange tip.